GFS 12z GFS view on precipitation. 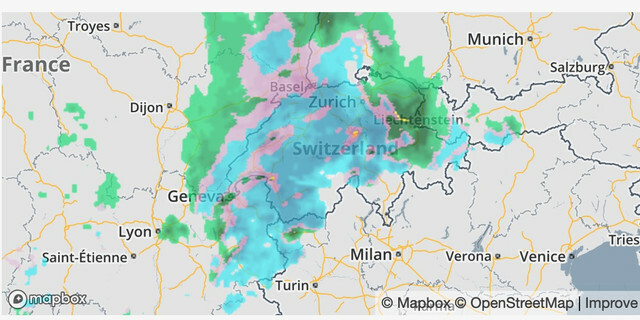 Parts of Switzerland are likely to see very heavy rain below 1900m, very heavy snow above. The snow line will drop steeply on Thursday. Further east less snow (still a lot), but a lower snow line throughout. Worth noting that the areas where the most intense rain/snow falls could see disruption from that and higher up the snowfall could also see disruption. The avalanche risk will certainly spike. Significantly warmer in the east as we move into April. For the past week or so the below temp anomaly chart has a clear divide down the middle of europe, with the west at times up to 8 degrees colder. As for FL's for the snow on 3rd and 4th, France could see snow down to 500m during the heaviest bursts on thursday. In general terms for the NW, it should be snowing at 1200-1300m wednesday afternoon, continuing to below 1000m all day Thursday. Morris has a detailed piece on where to go. There's a warm southerly Fohn affecting Austria on wednesday and thursday, so much better off in France . Then Friday he mostly recommends Switzerland. It's going to be interesting as to what happens - La Grave (Northern Hautes Alpes) will do far better due to the Lautaret which will act as it's normal barrier to us (Southern Alps) but no complaints, I hope. We are in desperate need of a good 30cm to prolong the touring season, and for people to be able to consider other areas rather than here. @polo, looks to me like by the time the snowfall arrives in the east it the temperatures will have already dropped. The heavier snowfall will hit the west first, but at that point it will still be mild so (a lot of) rain turning to (a lot of) snow. Certainly warm and mostly sunny in the east today. not sure where you're seeing heavy rain? Switzerland at 1900? Austria at 1700m? Or if you meant France, which resorts? I referred to NW alps, meaning PdS, GM, Chamonix etc, below is the Arome short term model showing the precipitation arriving around 5pm tomorrow, with FL 1500m, it then quickly drops to 1200m, 1000m, 800m etc during the storm. So as things stand I would expect something like 90% snow at village level (say 1200m on avg). Obviously if you are referring to large french resorts further south, the FL may be higher, but so are the resorts....so not clear where you mean? There really isn't anything in France open below 1000m so it can rain all it wants below there. Snow arriving on schedule in the NW.....just to clarify those are 3hr buckets on the table linked above, so X cm at 5pm, means X cm from 2-5pm, likewise the FL which I assume is averaged over 3 hours. There was snowfall in the southern and western regions above 1500 to 2000 m. In the other regions of Switzerland, skies were bright and it remained dry until the afternoon. remaining parts of the Main Alpine Ridge and southwards therefrom, as well as the summits of the Jura region: 5 to 15 cm. At midday at 2000 m, between 0 °C in the northern regions and -2 °C in the southern regions. in the Alpine valleys of the north, foehn wind was blowing at moderate strength. Far-reaching snowfall is anticipated, intensive over widespread areas. Only in the furthermost eastern regions will it remain dry until the latter part of the night as a consequence of foehn influence. During the course of the day, the intensity of the precipitation will slacken off from the west. In the southern regions, the snowfall level will be at approximately 1500 m to begin with; in the other regions of Switzerland, snowfall will extend down to low lying areas. remaining regions of Switzerland: 30 to 50 cm over widespread areas; from the eastern sector of the northern flank of the Alps over northern Grisons into the Lower Engadine, less in some places. At midday at 2000 m, between -6 °C in the western regions and 0 °C in the eastern regions. Just started snowing here in Wengen. Windy too, temp +2C and falling. Parts of Scotland got a lot of snow today with problems on some of the high roads, Cairngorm had 40 cm this overnight with more during the day. @polo, where are you based, and where are you planning on skiing tomorrow? @polo, I'll see you out there! Skiing Nyon/Chamossiere tomorrow, and rather hoping that the lifts are all open. Look out for a guy in red trousers and grey camo jacket, having fun on some fat powder skis, and likely falling over a lot. Snow in the village here in La Thuile and still snowing. Hope there are no issues with my flight out of GVA tonight. Still snowing slightly in the Val d'Arly. Some roof avalanches going off. The snow was heavy enough to cause a power cut here so only got one run today before all the lifts closed. There was no TV or mobile signal first thing. Was noticeably heavier snow on the French side of the mont blanc tunnel vs the Italian side. more snow sunday, and maybe next week, coming from W-SW, and some very odd pressure patterns unfolding as the deeply negative AO means cold air and low pressure are not far away...due to high pressure over Iceland / Greenland. Winter may not be done yet. Any chance of any sunshine next week? Well absolutely staggering how the overnight clear sky and cold temps (minus 7 in the valley) sucked all the moisture out of the heavy wet snow, otherwise know as Serrement, and along with the clear sky and noone around it was up there with one of the best mornings of the season. @Weathercam, Great pic. Looks like mid February conditions. Still lots of snow incoming for the West Coast of the USA this week as well. Will plaster some wet snow at higher elevations at Whistler Blackcomb, the Cascades, the Tetons, the Colorado Rockies, and some in the Wasatch Range in Utah as well. Winter just doesn't want to quit! Another dump for the Swiss/Italian border this weekend? To add to the 1m+ recently received. Always amazed how quiet it gets here from late March on - I'm still in the hunt people, more speculation please! I’m not going until the 26th! Could the various luminaries and sages on here give an opinion for Val Thorens? There's a few of us headed there on Saturday for the Spring Family Bash. 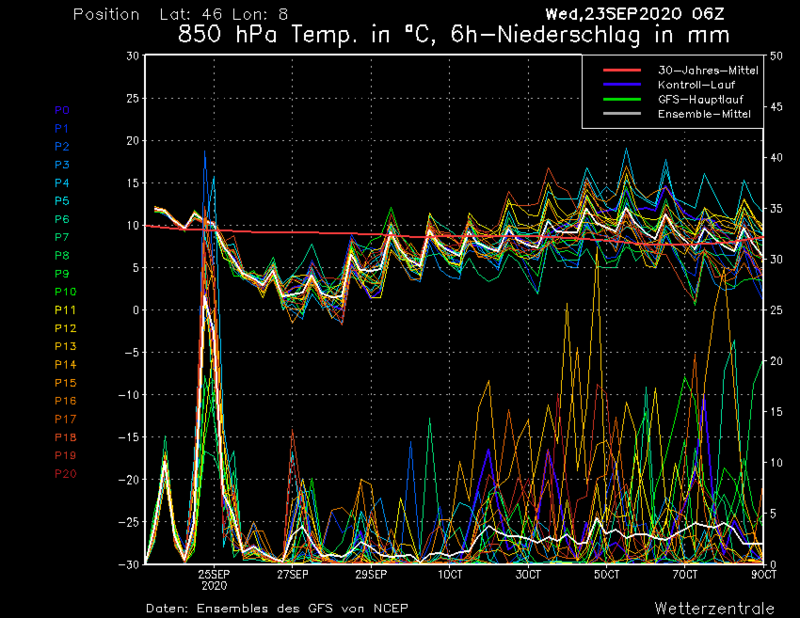 By my uneducated reading of the GFS wigglies, it looks like it is going to be cold on Sunday, warming up thereafter. Heading out to Chamonix on the 25th. Plenty of snow just not many unbroken lifts ! Are we seeing historic or average late season snowfalls? @Peter S - I've not been paying attention recently, have they lost any more? 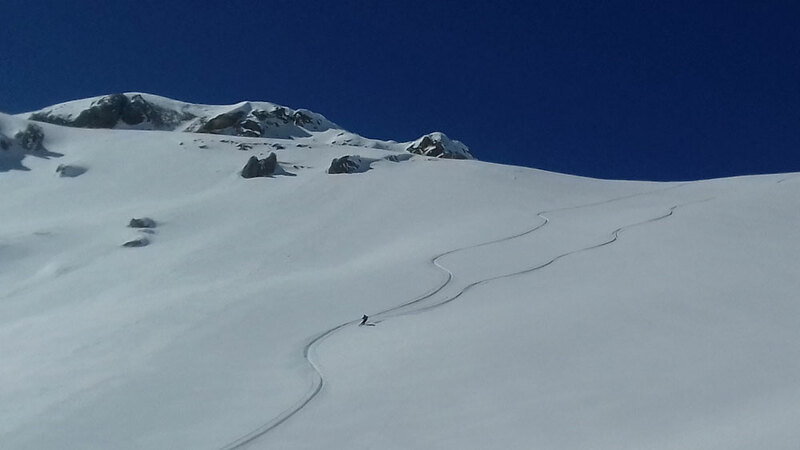 Cham is normally a great bet for a cheeky late season weekend, but I'm less keen if the Grand Montet (and Aiguille du Midi?) cable cars are out. Looks like morris was right, tomorrow could be lovely, pitztal reporting 50cm fresh on bergfex, obergurgl 30cm. Anyone in that neck of the woods I'm headed solden next week? @ChrisWo, Well, the GMs cable car has been out since the fire in November, so you know, keep up. Bochard has been closed for a few weeks now but will apparently (!?) reopen next week. Aiguille is open as normal. Snow all round remarkably plentiful. Flegere cable car closed its doors for the last ever time this afternoon. @8611, I was kayaking near there today (Paznaunertal - the valley Ischgl is in). Bloody freezing and fresh snow down to 1-200m above the valley. @8611, A little further along, but there was about 30cm up at Kühtai today. Pistes were horrible due to the wind, but it was nice off-piste in more sheltered spots.